Reading, writing, 'rithmetic - retail? 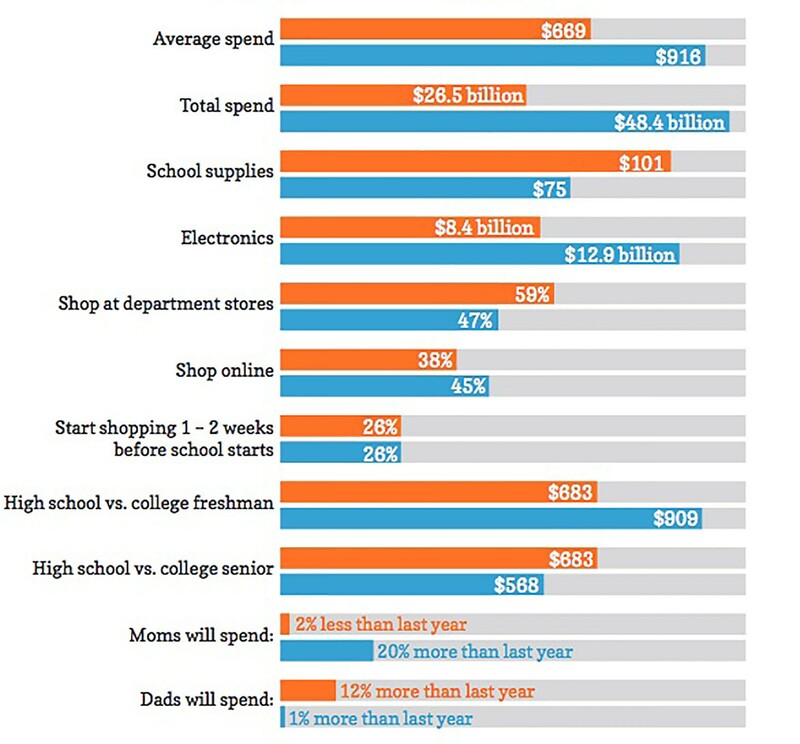 • The average family is expected to spend about $212.35 on electronics, compared to last year's $199.05. 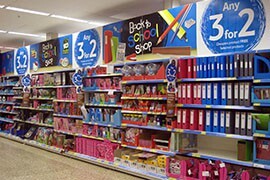 • Spending on school supplies is expected to grow 12 percent this year, to an average of $101.18 per family compared with last year's $90.49. 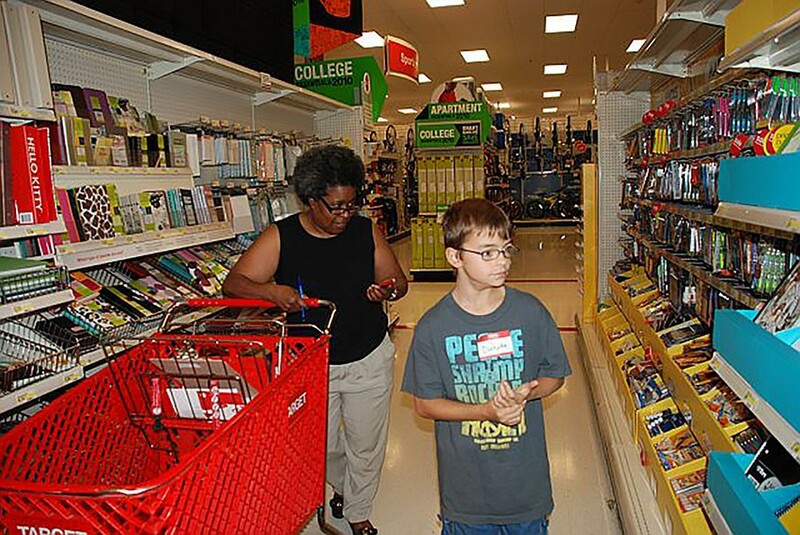 WASHINGTON – Chandler mom Lindsay Barnes already knows what the National Retail Federation is reporting in a recent study – it costs a lot to send kids back to school. Kyrene Schools spokeswoman Nancy Dudenhoefer said teachers have to ask because there’s only so much in the budget for supplies. The state only provides “a certain number of funds and that doesn’t go to pencils,” she said. In the Kyrene schools, that money goes to things like textbooks and computers, Dudenhoefer said. Alyssa Martin, a first-grade teacher at another Kyrene district school, said she got a $150 Target gift card from the district as a first-time teacher last year, but still spent about $600 of her own money getting her classroom together. Carly Tatroe said she was not surprised by having to spend $125 on school supplies last year for her then-eighth-grade daughter, Brielle. But she was “shocked” to see the same Higley Unified School District that asked for the supplies turn around and give every student in her Brielle’s class an iPad for classroom use. Jill Hildwine has seen the issue from both side, as mother of four children and as a former teacher who now substitutes in Gilbert Public Schools. While back-to-school costs are expected to rise for families this year, overall spending is expected to be down slightly from last year, as there are fewer students going back to school. It is still projected to be a healthy $26.5 billion, however. 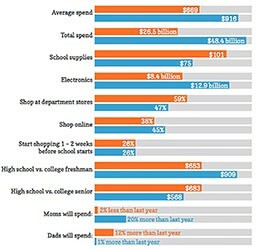 Back-to-school shopping brings its own lessons in math and economics for parents and students, according to data from the National Retail Federation, which surveyed a variety of spending areas for college students (blue bars) and K-12 students (orange bars). 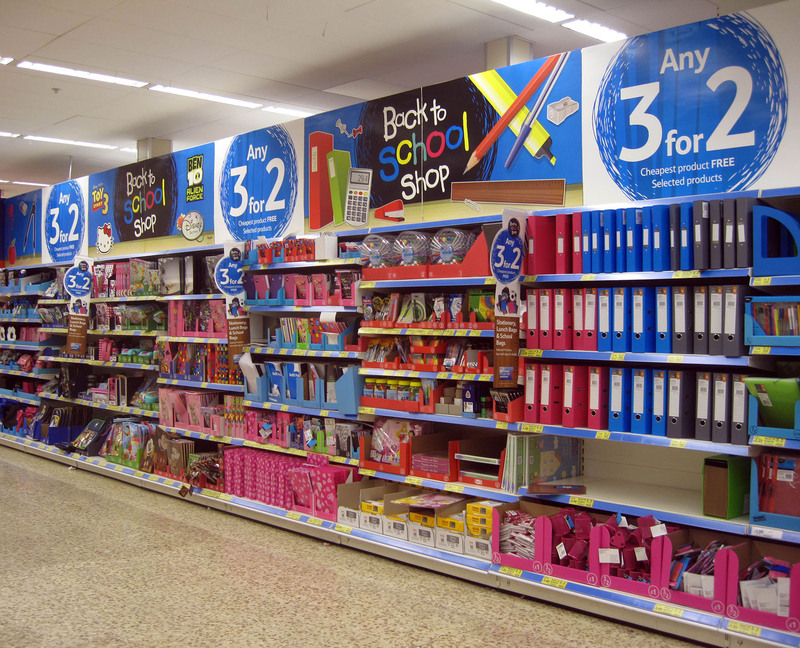 American families will spend just over $100 each on school supplies alone in their back-to-school shopping this year, a 12 percent increase from last year, according to a recent report from the National Retail Federation.